Under Ecuadorian law, there are few tax implications that may differ with respect to the way the parties can structure a transaction. In general terms, the acquirer will not receive different treatment from a tax liability standpoint. Based on our Tax Code, the way parties can structure the acquisition of a company or business will bear the same tax liability. 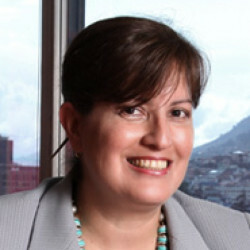 The Ecuadorian Tax Code stipulates that the acquirer is liable in the fiscal year in which the transaction was executed and for the two fiscal years preceding, with respect to all the taxes due by the target company or that are outstanding with regard to the business assets and liabilities. That liability is limited, however, to the value of the acquired assets and will cease within one year of the transaction as long as the acquirer complies by informing the Internal Revenue Service of the transaction. When a new company substitutes the target company, taking over its assets and liabilities under a merger operation, the tax liability will include all taxes due by the former up to the effective date of the operation. If the target company has a tax benefit, such as net operating loss carry-forwards, the acquirer would need to evaluate the best way to acquire the company’s shares, since such benefit would not follow the assets if these are purchased and will remain with the target company. Conversely, an asset deal could be beneficial taxwise from the seller’s perspective to offset future gains in such a case. Ecuador tax law levies income tax, pursuant to specific rules. The seller’s gains, in either of the cases mentioned above, will be subject to tax at the corporate level if the transaction is made through the acquisition of the entire business, meaning the acquisition of assets and liabilities, or if the transaction will be made through a transfer of shares. In asset transactions, the purchaser will usually receive a fair market value for assets and post that value in its books for depreciation purposes. Therefore, acquiring the target company’s assets, as well as acquiring the assets resulting from business spin-off transactions, will get a fair market value. Nonetheless, in the case of merger transactions, if there is any difference between an asset’s residual book value and its fair market value, the difference will not be deemed to be taxable income. Moreover, the difference cannot be depreciated in the new company resulting from the merger operation. When the target company has revalued assets, the depreciation from the revaluation is not deductible. If a new value is assigned to fully depreciated assets, the asset cannot be depreciated again. In the case of a sale of revalued goods, the difference between the sales price and the residual value, without considering the revaluation, will be regarded as taxable income. Intangible assets can be amortised for tax purposes in the terms provided under the contract, for a period of not less than five and, in general, not more than 20 years. Pursuant to Ecuadorian tax regulations, goodwill cannot be depreciated. Regarding the acquisition of shares of a local company (target company), Ecuadorian legislation ascribes the same tax treatment whether the acquirer is a company domiciled or not domiciled in Ecuador. When a foreign company acquires an Ecuadorian company, it is advisable that the foreign company be domiciled in a country with which Ecuador has signed a double taxation agreement. The advantage of having the acquirer domiciled abroad is that, in addition to being exempt from income withholding tax, dividends will not be subject to the capital outflow tax. The outflow tax rate is 5 per cent of the transaction value. Mergers and share exchanges executed abroad involving an Ecuadorian company are often used. Nonetheless, transactions concerning acquisitions of business assets and liabilities or acquisitions of stock are the most common. Mergers and spin-offs are commonly used because these forms of company reorganisation or transformation are tax free under Ecuadorian tax legislation. Transfers of shares using these forms and made under certain conditions are tax free so long as no gains are produced. The law establishes that gains on the direct or indirect disposal of shares and other rights representing capital are regarded as income subject to income tax. Merger or spin-off processes are excluded from this rule provided the actual earnings on the disposal of shares or other rights representing capital are the same before and after the process. Ecuadorian Law does not have tax benefits to the acquirer in issuing stock as consideration rather than cash. No documentary taxes are payable on the acquisition of stock or business assets, in accordance with Ecuadorian legislation. The acquisition of stock only generates capital gains subject to income tax. The sale of businesses in which all assets and liabilities are transferred does not generate value-added tax. If, however, business assets are sold separately, the value-added tax would apply at a rate of 12 per cent. For the transfer of ownership of fixed or immovable assets, the 1 per cent municipal property tax must be paid. Notwithstanding the foregoing, there are other costs, such as notary, registration and other fees, applicable to this kind of transaction. With respect to net operating losses, pursuant to article 11 of the Tax Law, a company’s losses from previous years may be offset with the taxable profits obtained within the following five tax periods, without exceeding 25 per cent of the profits obtained in a period. There is no impact when the acquisition is made through the acquisition of a company’s stock. If made otherwise, however, this benefit will not follow the assets acquisition as mentioned earlier. Likewise, VAT credit and refunds on excessive tax payments are not affected by a change of control. Ecuadorian legislation does not provide a special tax treatment, regime or rules for insolvency or bankruptcy. In accordance with article 13 of the Internal Tax Regime Law, there are many conditions for interest payments to be deducted as a financial expense for loans obtained abroad. If the Ecuadorian acquisition company resorts to borrowing money for acquiring the target, it must obtain a loan from a foreign financial entity duly incorporated abroad or a financial entity qualified by the relevant Ecuadorian oversight entities. In these cases, interest cannot exceed the maximum reference interest rates set by the Monetary and Financial Policy and Regulation Board on the date of registration of the loan or the date of novation thereof. If these conditions are met, but the interest rate exceeds the maximum reference interest rate, the excess portion will be subject to withholding tax in order to be deductible. In the case of interest paid abroad that does not fulfil these requirements, a withholding tax at the same rate as for the general corporate income tax will also apply regardless of the lender’s residence. Furthermore, Ecuadorian legislation includes several other provisions that limit interest deductibility for both unrelated and related parties, such as in the case of transfer pricing rules. Back-to-back loans are expressly prohibited under Ecuadorian law. In general terms, parties are completely free to opt for any contractual warranty or fix any contractual indemnity with respect to acquisition. From a tax perspective, including specific clauses in an SPA or APA is the most common method used by parties for their protection. The stipulations contained in those agreements provide representations and warranties in respect of any unforeseen tax liabilities arising from post-transaction tax assessment and any unanticipated due tax. Post-acquisition restructuring focuses mostly on corporate and labour issues. An amendment to the by-laws will be made so that they can be adapted to the acquirer’s structure. In addition, the internal labour regulations will be amended to reflect the acquirer’s labour policies, as long as such policies are consistent with the legal scope of Ecuadorian labour law. Spin-offs can be tax neutral. In accordance with Ecuadorian law, the NOLs of the spin-off company will be transferred to each of the resulting companies in proportion to the assets and liabilities transferred to each of them. As an additional fact, in the case of a total spin-off (ie, when the company is extinguished to form two or more companies), the Tax Code stipulates that the companies resulting from the spin-off will be jointly and severally liable for the tax obligations owed by the company being spun off, up to the date of registration of the spin-off in the Commercial Register. Transfers of assets and liabilities made in the spin-off process are not subject to income tax. The spin-off will not be subject to VAT. Although the migration of residence to Ecuador of the acquisition company has been recently regulated under the Companies’ Act, there are no tax regulations in this respect. Under these circumstances, the target company cannot migrate from our jurisdiction without having first terminated its operations and cancelled its tax registration number. The IRS will then have a period of six to seven years to perform assessment post cancellation and collect any outstanding tax. Companies must keep all documents for that same period. Dividends paid to non-resident shareholders, whether individuals or corporations, are tax exempt. Interest payments are subject to the tax treatment explained in the answer to question 8. Interest payments remitted abroad are subject to the 25 per cent withholding tax and would not be considered as a deductible expense if they fail to fulfil the requirements provided under the Ecuadorian tax law, as explained above. In addition, if the beneficial owner of such interest payments is domiciled in a tax haven or low tax jurisdiction, said payment will also be subject to an additional 10 per cent withholding. There are, however, certain economic sectors that are exempt from this withholding regardless of the lender’s domicile or residence. Aside from exempting dividend payments paid to non-resident shareholders, whether corporations or individuals, Ecuador has executed several tax treaties particularly with European and Asian countries, as well as with countries in the Latin American region, which prevent double taxation. The treaties provide reduced withholding rates for interest and royalty payments. Furthermore, to attract investment in different economic sectors, the national assembly has recently enacted a law providing longer tax holidays for investment in new industries and other service activities. All these methods are commonly employed. If the transaction takes place abroad and involves a direct or indirect disposal of the stock in a local company or of the stock of its foreign holding company, the resulting capital gain in either case will be subject to income tax in Ecuador. For indirect transfers of stock, the seller must determine whether certain parameters provided under the law have been met for the gain to be subject to the tax. If the chain of ownership shows that the actual beneficiary of a transfer or sale is an individual who is a resident in Ecuador, then, for tax purposes, it will be understood that there was a direct sale and the gains thereon will be subject to income tax at a rate of up to 10 per cent, depending on the amount involved. With respect to the assignment of other assets, the type of asset and the gain on the transfer or sale thereof would have to be considered. In any case, the gain would be included in the company’s total income for tax purposes. The disposal of stock in a local company by a non-resident company is subject to income tax at a rate of up to 10 per cent when the transaction produces a gain. If, however, the non-resident company fails to pay the tax when disposing of its stock, the Ecuadorian tax administration will hold the local company, the shares of which are being disposed of, liable and collect the tax from it to secure payment. In general, tax legislation stipulates that gains on the direct or indirect sale of shares or other rights representing capital or different rights concerning exploration, exploitation, concession or the like by local companies or permanent establishments in Ecuador, are subject to income tax. Therefore, no special rules apply to real property, energy and natural resource companies. There are specific rules, however, when the transaction is performed through the Stock Exchange. Our legislation does not provide specific methods for deferring the payment of the tax applicable to the gain on the disposal of shares. Likewise, gains on the disposal of business assets are also taxable and Ecuadorian law does not provide any tax deferral method. Nonetheless, it should be noted that the Ecuadorian tax law does not levy an income tax on gains from the occasional disposal of immovable property.